One more reason your kids should train is because of the social environment. Brazilian Jiu Jitsu brings in people from all walks of life and kids can meet new friends they may never have in any other way. We see each other all the time and this creates a very strong bond. We trust each other and depend on each other in order to learn. 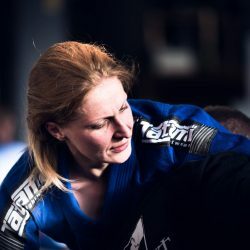 Lastly if all this wasn’t enough to convince you that your child should be training Brazilian Jiu Jitsu; Brazilian Jiu Jitsu is a great self-defense system to learn. It has been shown that at some point most physical altercations end up on the ground where Brazilian Jiu Jitsu is most useful. But also, martial arts in general teach you to be a calm and collected person and you become better at avoiding and preventing such altercations in the first place. Children nowadays are so engrossed in their screens and computer time that they forget to enjoy physical activities. Doing BJJ would aid in this concern of ours, this would also teach them good values! It would be a great idea to let our children at least try this. Don’t train to prove! 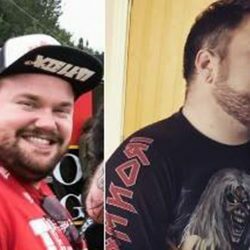 9kgs lost!